The constant throughout Robert Kleinman’s life has been a deep interest in the cosmos and the individual’s place in it. As he explains in his book, he was awakened to the wonders of the universe as a teenaged soldier during a spiritual experience on a WWII battlefield in France. After completing his Army service, Kleinman began a long trek towards the heart of the cosmos at NYU, where he completed undergraduate studies in mathematics and physics. To generate funds for further study, he served the country again as a meteorologist in the Air Force, taking a degree in that discipline from Pennsylvania State University. He then entered the doctoral program in philosophy and cosmology at Columbia University. Kleinman explored the spiritual traditions of India under the guidance of Swami Nikhilananda at the Ramakrishna-Vivekananda Center in New York City. While a student at Columbia, he undertook years of Zen practice with the great Isshu Miura Roshi at the First Zen Institute of New York. Well-grounded in meditation, he encountered Sri Aurobindo’s poetry in a bookshop. The vast and integrative vision of Sri Aurobindo enlarged and reshaped Kleinman’s life and purpose. In 1961, he accepted a teaching post at Pensacola Junior College in Florida. It seemed an ideal place to quietly polish his dissertation. As they came to know the depth of his integrity and scope of his knowledge, the college’s administration was so appreciative that they afforded him full freedom to develop a broader philosophy program. Thus, in the early 1960s, a college freshman could attend classes with Kleinman like “Theories of the Universe” and “Comparative Religion” in the wilds of northwest Florida. Compassionate to the core, he guided scores of students towards careers, assisted them in resolving life challenges, and opened them to self-discovery. His reputation grew, and Dr. Kleinman became the most respected intellect within hundreds of miles, who could speak authoritatively to wide sweeps of scientific, artistic, philosophic, and spiritual concerns. It was not thinking, but realization that formed the core of his efforts. 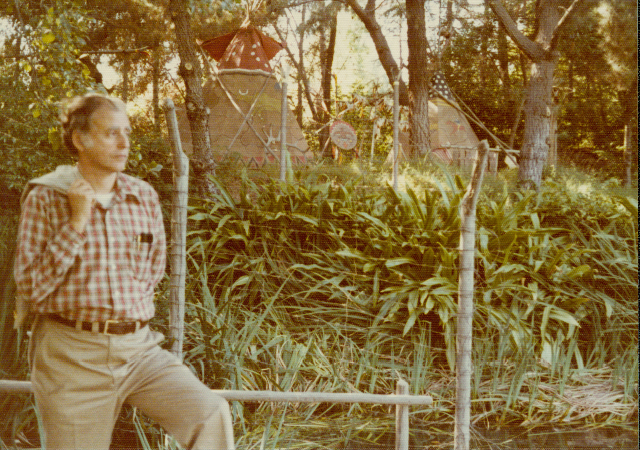 Kleinman’s deepening study and practice of Sri Aurobindo’s integral yoga led him to visit India with his wife, Jan, and two of their children in 1969-1970. Posted as professor for a year to the Sri Jagadguru Chandrasekhara Bharati Memorial College in Sringeri, South India, Kleinman and his family visited the Sri Aurobindo Ashram in Pondicherry for lengthy periods. There they grew close to the Mother and to several of the leading exponents of her spiritual community. When he returned to the States, he developed more fully the philosophy and religion curriculum at the college and shared the richness of his perspective with an intimate circle of students and friends. Many went on to distinguished academic and business careers, but all traced their understanding of the universe and their poise in life to his influence. Kleinman wrote a number of articles during his career for diverse journals. He sacrificed significant writing potential, though, when he accepted larger administrative responsibilities for the college as Chairman of the History, Languages, and Philosophy Department. Over the years, Kleinman was awarded grants to numerous conferences on cosmology and metaphysics by the National Science Foundation and the National Endowment for the Humanities. A larger picture of his academic achievements appears below in his Biographical Data. After retirement in 1992, Bob and Jan Kleinman moved to Boulder, Colorado, where over a period of years they carefully honed his studies of the cosmos and eventually carved this book out of a larger tree of knowledge. It was brought to its final shape after they returned to a grateful Pensacola. The Four Faces of the Universe rejuvenates cosmology and carries it beyond the confines of astronomy. 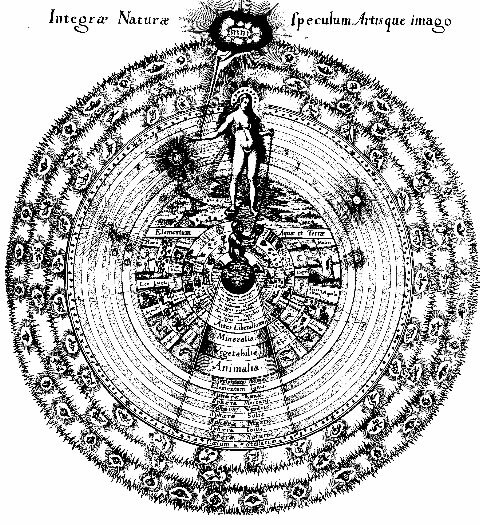 The reader senses not just the shape of this magnificent and growing universe, but the larger Being whom it manifests. Four Faces of the Universe is an adventurous survey of a universe that is deeper than science can measure. 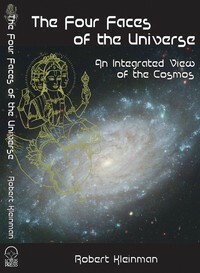 It explores key perspectives by which we can gain insight into the cosmos - mythical, scientific, traditional and evolutionary - affirming what is valid in each. Its route takes us through the Stanzas of Dzyan, Einstein's theories, quantum mechanics, the Hermetic Tradition and beyond. Along the way we meet great figures like Madame Blavatsky, Albert Einstein, Plato, Dante, and Sri Aurobindo, and we embrace the cosmos in works of art and imagination. A journey through the Four Faces suggests how we can find our place in the world and arrive at a soul-deep harmony in it. Born March 26, 1926 in Brooklyn, New York. Attended New York University (B.A., Mathematics and Physics, 1951), Pennsylvania State University (B.S., Meteorology, 1954), and Columbia University (M.A., Ph.D., Philosophy, 1959, 1964). Two tours of military service (U.S. Army, 1944-46; U.S. Air Force, 1953-57). Recipient of New York State Scholarship for Veterans, 1951-53). Professional meteorologist with the Air Weather Service (USAF), 1953-1957. 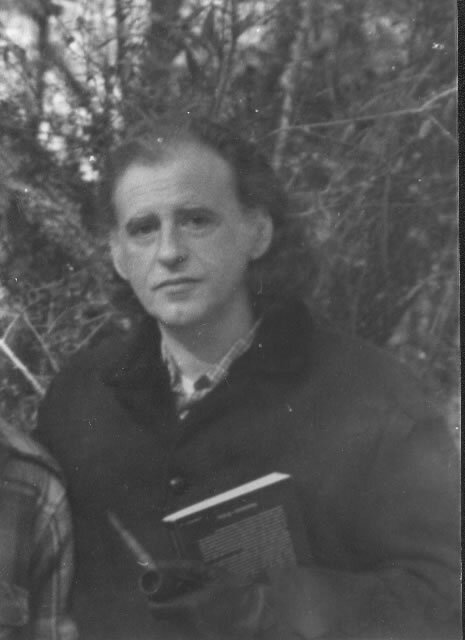 Lecturer in Philosophy at the University of Connecticut, Waterbury, CN, 1961. Taught philosophy, religion, cosmology, and interdisciplinary humanities at Pensacola Junior College, 1961-92. Professor of Philosophy and Chairman of the History, Languages, and Philosophy Department, 1988-92. Visiting Professor of Philosophy and Religion, the University of West Florida, Spring, 1969. Member of the Task Force on General Education, 1987. Recipient of the 1988 Academic Teaching Excellence Award. Member of the PJC Academy of Teaching Excellence. Retired in 1992. Professor Emeritus. Awarded first sabbatical leave offered by PJC, Academic year 1969-70. Visiting Professor of Philosophy at the Sri Jagadguru Chandrasekhara Bharati Memorial College in Sringeri, South India, 1969-70. Offered a series of lectures on The Bhagavad Gita at the Nehru Memorial Library in Manipal, India, 1969. Received a National Science Foundation Grant in 1973 to study contemporary scientific cosmology at Louisiana State University, Baton Rouge, LA (seminar directed by Remo Ruffini of Princeton University). Recipient of three National Endowment for the Humanities Grants: (1) “The Exact Sciences in Antiquity” (Asger Aaboe, at Yale University, 1982), (2) “The Great Chain of Being in World Perspective” (Huston Smith, at the Pacific School of Religion, Berkeley, CA, 1985), (3) “Metaphysics and the Modern World” (George Lucas, at the University of Santa Clara, Santa Clara, CA, l986). Many articles published in philosophical journals and books in the U.S.A., Great Britain, and India. Most recent publications: (1) an article in Contemporary Philosophy: The Journal of the Institute for Advanced Philosophic Research, Mar/Apr, 1991, (2) a paper included in New Essays in the Philosophy of Sarvepalli Radhakrishnan(Ed. S.S. Rama Rao Pappu), Sri Satguru Publications, India Books Centre, Delhi, 1995, and (3) an article in The Advent: A Quarterly Devoted to the Exposition of Sri Aurobindo’s Vision of the Future, August, 2004. Numerous papers presented at meetings of the Socratic Society (The University of West Florida), The Sri Aurobindo International Centre of Education, Mysore University, The American Academy of Religion, and The International Congress of Vedanta (Miami University, Oxford, OH). Attended lectures in Vedanta philosophy given by Swami Nikhilananda at the Ramakrishna-Vivekananda Center in New York City, 1957-59. Studied Buddhism with the Zen Master Isshu Miura Roshi at the First Zen Institute of America in New York City, 1959-61. Participated in a seminar on “Sri Aurobindo and Teilhard de Chardin” organized by Lois Duncan at the Sri Aurobindo Center, Crescent Moon Ranch, Sedona, AZ (1969). Pursued further research on the works of Sri Aurobindo at the Sri Aurobindo Ashram in Pondicherry, India (1969-70). Attended seminars given by the Tibetan Lama Chögyam Trungpa Rinpoche at Naropa Institute in Boulder, CO (1974 and 1976). Took part in the “Seminar on the Sutras” at Mount Baldy Zen Center in California (directed by Joshu Sasaki Roshi in conjunction with the U.C.L.A. Extension Division), 1978, and a seminar on “Emptiness and Great Compassion,” conducted by Tenzin Gyatso, the Dalai Lama, at Harvard University, 1981. Also attended a number of international conferences on philosophy: “Hegel and the Sciences,” sponsored by the Boston Colloquium for the Philosophy of Science, Boston University (1970), “Plotinus and Indian Philosophy, “at the Second International Congress of Neoplatonic Studies, Brock University, Ontario, Canada (1976), and “Einstein’s Century,” a Symposium at San Francisco State University focusing on the broader cultural impact of the life and work of Albert Einstein (l980). Did postgraduate study on Dante’s The Divine Comedy at the University of Colorado in Boulder (1994-5). 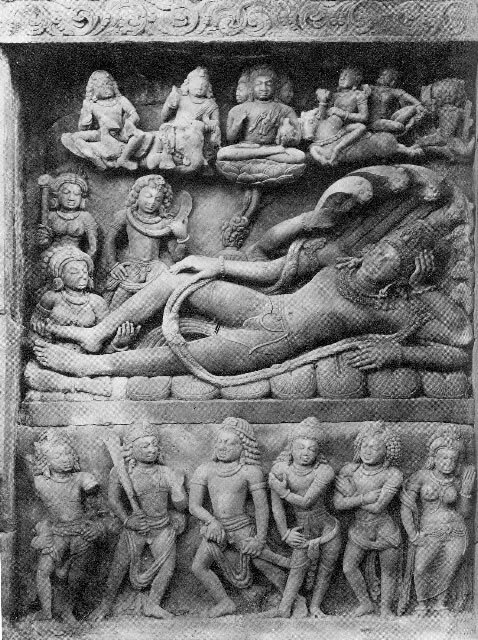 Traveled extensively in North America, Europe, Africa, and Asia, with periods of residence in France, Germany, Morocco, Great Britain, Thailand, and India. Did research on the life and work of the English poet William Wordsworth in the English Lake District (1971). Past memberships in the American Philosophical Association, The American Academy of Religion, The Hermetic Academy, Pi Mu Epsilon (The National Mathematics Honors Society), and the American Meteorological Society.